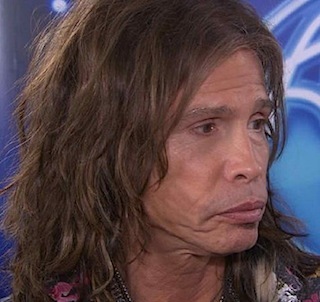 After two years of watching amateurs sing, American Idol judge Steven Tyler is departing from the show to do what he does best. No, not breaking gender boundaries and confusing people who have poor eyesight – being a frontman! He released a statement yesterday saying he wanted to focus on Aerosmith. J-Lo and Randy Jackson may also not be returning but there has been no confirmation either way. Adam Lambert, Miley Cyrus, Will.i.am Katy Perry, Mariah Carey and Nicki Minaj are rumored to be eyeing the position(s). 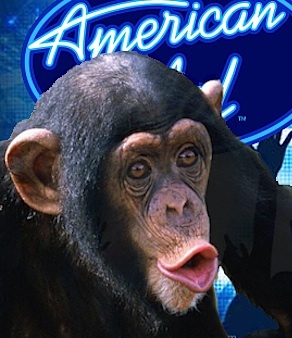 I don’t watch American Idol. I’m on team Voice, but I will miss flipping through the channels and wondering how my crazy art teacher made it onto the telly. He seemed really distracted on that show. You know when you throw a rock to avoid being chased by territorial chimpanzees and they just kind of wander off? I saw him doing that, but there was a parked car involved, instead of a rock.